Everyone is aware that the IT job market is tight and there are more jobs than qualified candidates; but, is that what’s important to the IT professionals and clients? Not really, regardless of the employment statistics people want to work and feel satisfied with their contributions and businesses have goals to accomplish. Matching an individual’s criteria with opportunities that are mutually beneficial is the secret sauce. As an IT staffing firm, we talk extensively every day to the people responsible for hiring and the IT talent searching for their next position. Making a technical fit is the science; making a culture fit is an art. Job seekers need to be prepared to explain how the position they are interviewing for falls in line with their personal career progression for the short and long term. Knowing the businesses end point and how your personal career goals align with the companies’ goals are important components in building a reciprocal relationship. A career will span thirty to forty years, and an interview is an opportunity to leave a lasting impression in an industry you want to be in. The more people that know you and like you the better off you will be. The interview is an opportunity to plant seeds and grow your network. Even if you are not offered the position, the hiring manager has a network of colleagues they can refer you to now or in the future. Hiring managers talk and help each other find and hire talent. There is no better endorsement for you than a hiring manager recommending you to another hiring manager for a position so make your first impression a lasting one. Interviews expose people to your organizations hiring process and can have a great impact within the talent pool of the industry you are in. You are marketing your company, culture, brand and yourself as much as filling a position. Candidates talk amongst themselves and you want anyone you interview to speak highly of you as a hiring manager and employer. 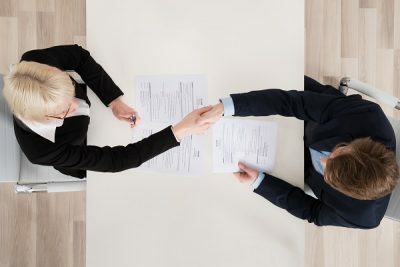 The world is very interconnected, and an abrasive interviewer or jagged hiring process will gain your company a reputation to be avoided within the job seeker pool. Closing the communication loop with candidates who have spent time with you discussing their skill sets and goals with those you are looking for deserve a response. If a candidate has spent 4 hours with you or made extensive travel arrangements, be prepared to explain why they were not given an offer. Candidates appreciate and respect honest feedback even when delivering rejection. Overall, the best way to get hired and find talent is to remember that people, human beings, are the key to success on both sides of the interview desk.